Analyzing the microbial community structure and functions become imperative for ecological processes. To understand the impact of spent engine oil (SEO) contamination on microbial community structure of an agricultural soil, soil microcosms designated 1S (agricultural soil) and AB1 (agricultural soil polluted with SEO) were set up. Metagenomic DNA extracted from the soil microcosms and sequenced using Miseq Illumina sequencing were analyzed for their taxonomic and functional properties. Taxonomic profiling of the two microcosms by MG-RAST revealed the dominance of Actinobacteria (23.36%) and Proteobacteria (52.46%) phyla in 1S and AB1 with preponderance of Streptomyces (12.83%) and Gemmatimonas (10.20%) in 1S and Geodermatophilus (26.24%), Burkholderia (15.40%), and Pseudomonas (12.72%) in AB1, respectively. Our results showed that soil microbial diversity significantly decreased in AB1. Further assignment of the metagenomic reads to MG-RAST, Cluster of Orthologous Groups (COG) of proteins, Kyoto Encyclopedia of Genes and Genomes (KEGG), GhostKOALA, and NCBI’s CDD hits revealed diverse metabolic potentials of the autochthonous microbial community. It also revealed the adaptation of the community to various environmental stressors such as hydrocarbon hydrophobicity, heavy metal toxicity, oxidative stress, nutrient starvation, and C/N/P imbalance. To the best of our knowledge, this is the first study that investigates the effect of SEO perturbation on soil microbial communities through Illumina sequencing. 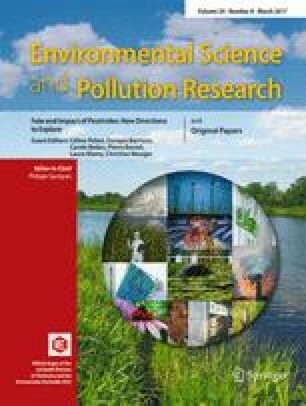 The results indicated that SEO contamination significantly affects soil microbial community structure and functions leading to massive loss of nonhydrocarbon degrading indigenous microbiota and enrichment of hydrocarbonoclastic organisms such as members of Proteobacteria and Actinobacteria. The online version of this article (doi: 10.1007/s11356-017-8364-3) contains supplementary material, which is available to authorized users. Figure S2 Comparative taxonomic profile of the 1S and AB1 microcosms at family level, computed by MG-RAST. Only families with significant biological differences (P < 0.05, difference between the proportions >1% and twofold of ratio between the proportions, as determined by STAMP) (DOCX 187 kb). Figure S3 Functional characterization of metagenomic sequencing reads of Agricultural soil 1S microcosm according to the Cluster of Orthologous Groups of protein (COGs). The categories for COG are abbreviated as follows: C: energy production and conversion; E: amino acid transport and metabolism; F: nucleotide transport and metabolism; G: carbohydrate transport and metabolism; H: coenzyme transport and metabolism; I: lipid transport and metabolism; D: cell cycle control, cell division, chromosome partitioning; N: cell motility; T: signal transduction mechanism; U: intracellular trafficking, secretion and vesicular transport; V: defense mechanisms; K: transcription; L: replication, recombination and repair; R: general function prediction only; S: function unknown (DOCX 29 kb).